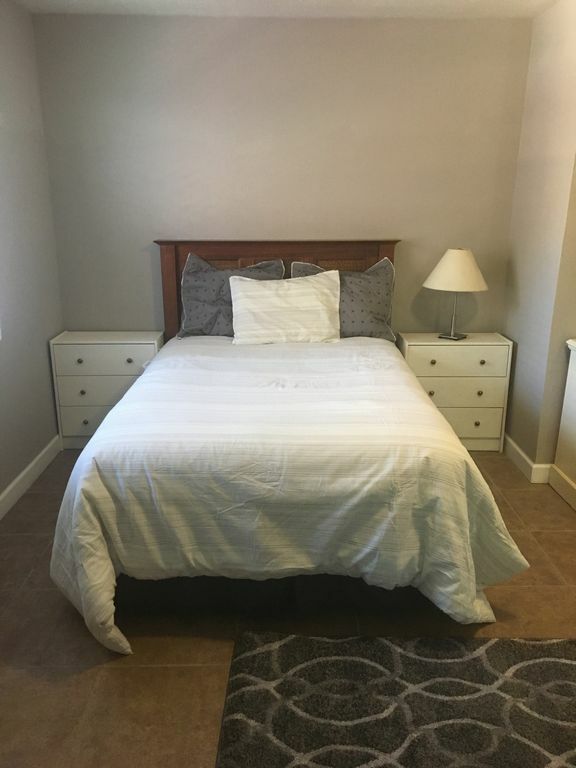 This studio apartment is within walking distance of Baptist, Nemours and Wolfson hospitals as well as great local restaurants in San Marco such as Bistro AIX and European Street. It is also convenient to Jacksonville museums and historic neighborhoods such as San Marco, Riverside and Avondale. It is the perfect alternative to a hotel for short, medium or long term stays. The studio is approximately 400sf with a full, well equipped kitchen including a dishwasher, microwave, coffee maker, pots, pans, dishes, iron and ironing board, etc.. The unit sleeps two with a full sized bed and has a small sofa. Cable and WIFI are available. It is part of a 5 unit apartment building and has one assigned parking space. Additional cars would need to be parked on the street nearby. The place was perfect for what I needed which was basically a place to sleep and get cleaned up. I attended a conference at the Hyatt Regency which was only 1-1/2 miles away. Short Lyft ride, but also a nice walk over the bridge. Walking all the way down Palm street, I felt safe both in the morning and after dark. Ashley was easy to work with. I would recommend this location for those needing the basics. Thank you for the kind review! I'm so glad you enjoyed your stay! Clean, friendly, and the perfect location! We had a very nice time this weekend staying in Ashley’s location. She was super helpful and always just a call away for any concerns. The place is clean, fully equipped, and the perfect size for our stay. The neighborhood is quiet and within walking distance of food and drinks. We would most definelty stay here again! Thanks Ashley! First of all Ashley is very professional and accommodating, she is very attentive and would be available by phone call or text. The condo was everything we needed, and more. Not only was it clean, checked off everything on our list including it having a kitchen. It also was in a great neighborhood, beautiful historic buildings all around and restaurants walking distance. The river was a block away, gorgeous! The only thing I missed while I stayed here was a toaster, which I managed without by the way. I was able to live without it (LOL). If your partial to your toasted bread in the morning bring your toaster, if not do it the old fashioned way, on the stove. All in all if I come back to Jacksonville I will be giving Ashley a call for sure. Thank you for everything you did for us last minute, we really appreciate it. Very busy couple of days in Jacksonville, looking for adequate and economical accommodations. This place fit the bill and Ashley was easy to communicate with. I was in Jacksonville for my capella residency. The home is small but very comfortable. It is about 10min or less from downtown. I was hardly in the room because of school but glad I had a place to sleep. Ashely made sure that I was settled in and followed up with any questions I had. Overall, I had a good stay. Thank you! I'm so glad you enjoyed your stay. It was great having you as a guest!